Yep...robins can definitely stir up quite a fuss! Mmm...Teriyaki Chicken sounds so good to me right now! I can't wait to see pictures of Alaska when the weather is nice. I want to take a vacation there one day. But not in the winter. Thanks for visiting my blog today. I am excited to have a new friend in Alaska. I have really enjoyed reading your blog and getting to know you a bit. You have a beautiful family. I loved seeing pictures of Alaska, the moose and the ice sculptures. Your robins are very different from the robins we get in England. Look forward to reading more about your life in Alaska. Each spring day must be like a gift when you have it! Ugh! I hate being wrong especially when my husband is the right one! Very cute! One of the best things about marriage is being able to swear up and down we are right because we don't have to worry about loosing too much pride when we have to admit we were wrong. Robins are like those toddlers that no one ever wants to babysit. They look cute, but are SO obnoxious! Hope the warm weather finds you soon! I'm doing my best to send it north. 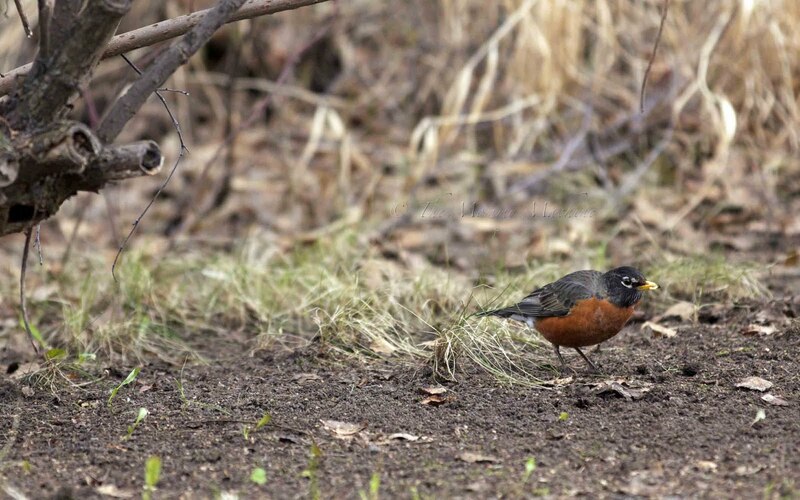 Does Alaska usually not have robins? Beautiful. I feel at peace just looking at that picture!